Ask some random people throughout the Midwest what Ann Arbor means to them – and you’re likely to hear “Zingerman’s” mentioned, time and time again. Why? The famous Deli in Kerrytown has in some ways become synonymous with Ann Arbor – with its deep roots in the community and unwavering commitment to impeccably full-flavored goodness. Ann Arbor is known as an inclusive, entrepreneurial, bold, and quirky destination – just like Zingerman’s! So, it makes sense that Zingerman’s and Destination Ann Arbor are such great partners. Destination Ann Arbor is Washtenaw County’s destination marketing organization (often people refer to us as the Convention & Visitors Bureau), and we generate buzz about all the great things that make Ann Arbor and its surrounding communities so special, and meaningful, to visitors and locals alike. Our mission is to generate economic growth in Washtenaw County by promoting the area as a destination for both overnight and day visitors. We achieve this mission by reaching out to groups who might be interested in holding conferences in Ann Arbor, by maintaining a robust and compelling website that serves as a resource for visitors (destinationannarbor.org), by telling our community’s story on social media, and lots more. 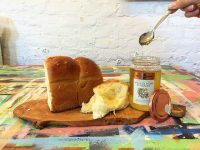 The Zingerman’s Community of Businesses is an integral part of this messaging, and always a top recommendation we give when asked about quintessential Ann Arbor experiences. Along with other attractions like the Purple Rose Theatre Company in Chelsea, the University of Michigan Museum of Natural History, Michigan Stadium (#GoBlue! ), and Yankee Air Museum and many more, Zingerman’s is part of the fabric that defines the visitor experience in the Ann Arbor area. Destination Ann Arbor promotes events at various Zingerman’s businesses… from special dinners at the Roadhouse to artist openings at Miss Kim, and from cheese tastings at the Creamery to seminars at ZingTrain. We do this on the Destination Ann Arbor events calendar, social media accounts (#destinationannarbor), email newsletters, and other outlets. We attend each other’s planning meetings, and learn about what each other is most excited about. We stay in close communication between meetings and share social media ideas, blog post information, and new and exciting photos and videos. Destination Ann Arbor sales staff encourages groups to consider Zingerman’s venues for their meetings and events. The Greyline, Cornman Farms, Miss Kim, Zingerman’s Roadhouse, and others are included in our database of venues for meeting/wedding planners to peruse as they’re considering spaces to hold group events. Destination Ann Arbor staff often attend Zingerman’s events, and livestream them to our social media followers! This is a fun way to show how awesome (and tasty!) Zingerman’s events really are. 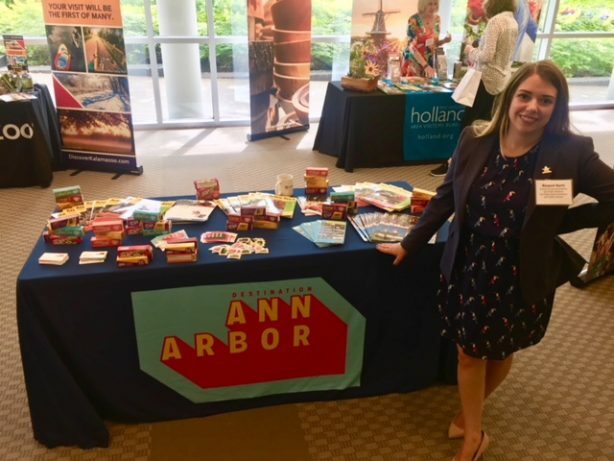 When Destination Ann Arbor staff attend trade shows and receptions, we often take Zingerman’s products to give attendees a ‘’taste’’ of Ann Arbor! Zzang bars, Zingerman’s potato chips, Zingerman’s Chocolate Covered Peanut Brittle, and Zingerman’s Spiced Pecans are some of our favorites! When Destination Ann Arbor works with travel bloggers and writers, we almost always take them to Zingerman’s Deli or other ZCoB spots. What better way to get to know Ann Arbor than to start with a reuben? 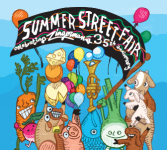 So – if you love Zingerman’s, be assured that Destination Ann Arbor is working hard to promote all the great things happening in the ZCoB – as well as lots of other outstanding organizations and businesses throughout the county. Learn more by following Destination Ann Arbor on Facebook, Instagram, Pinterest, Twitter, and YouTube. 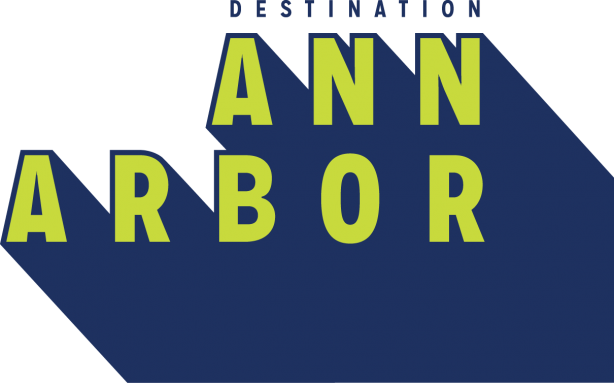 Do you work for a business in Washtenaw County and want to partner with Destination Ann Arbor? Send us an email at [email protected] and mention that you saw this blog. Zingerman’s Deli Delivers the Goods!